Hello friends! 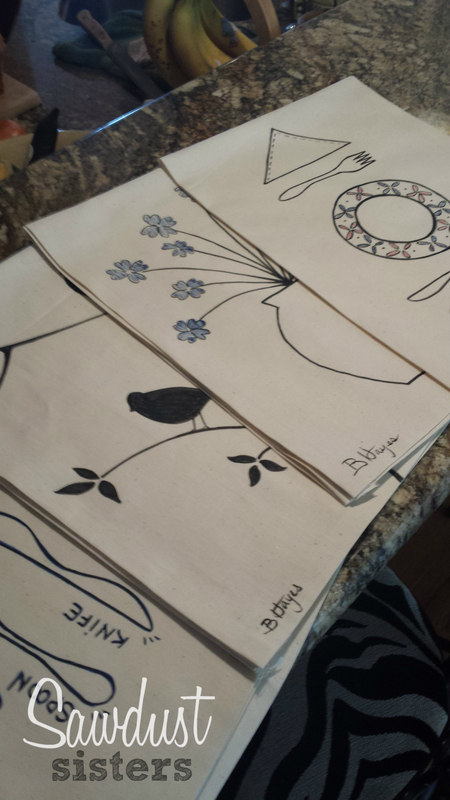 I actually made these cute kitchen towels back in November, and I never got around to writing a post about them. Now that the Christmas rush is long gone, I can take a bit of time to tell you about them. They are so fun to make! I call them Kitchen Towels, although some people call them Tea Towels, but I honestly don’t know the difference between the two. So… since we don’t ever drink tea in our household, I thought Kitchen Towels was more appropriate. Don’t you think? After all, they will be hanging in my kitchen area, right? It is so fun to have these pretty towels in a place where I can admire them all day long (yes, I spend that much time in the kitchen. I love it!). You could also double fold at this step (which will make it easier when it is time to sew), but I didn’t think of doing it for some reason. 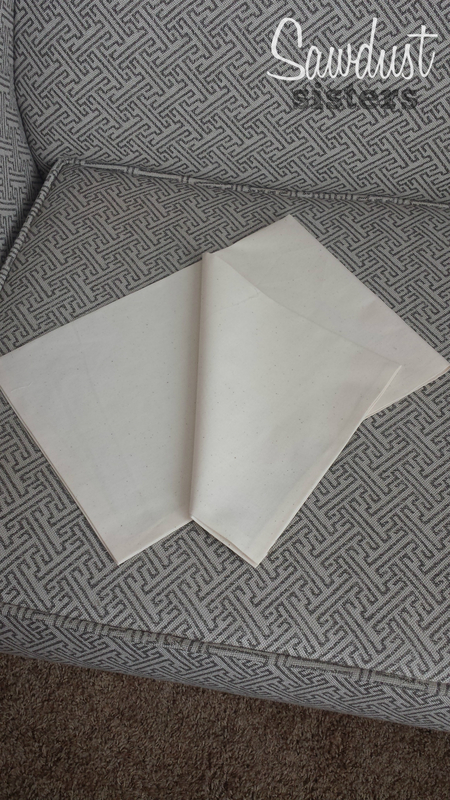 Anywhoo, when you have all of the edges folded and ironed, it is much easier to sew it all in a neat way. Here you can see how all the edges are nicely ironed. My towel is pretty big–it is folded vertically and horizontally. 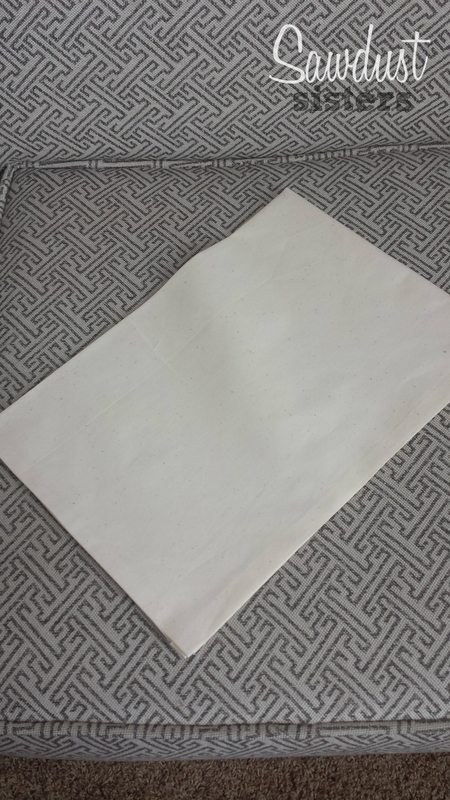 Now, the design will go on just the part that will be showing and facing out; only 1/4 of the towel will be decorated. You are welcome to do the whole thing, but for me it was plenty to do the bottom right corner as I made quite a few of them to give out as gifts for Christmas. So, once you have everything ready to go, it is time to sew those edges. If you can’t sew, maybe you could find towels like these at Hobby Lobby. I think I saw some similar ones, but they were pricey. Instead, I chose to buy the fabric and I only spent about $6.00. The fabric cost ranges between $2-6 dollars, but I had a 50% coupon that I used and I saved some big bucks. I think each one of these costs about a dollar to make. I know! Now, this next step can be scary, but if you are a good artist and your hand does not shake you will be just fine. I actually browsed the Internet for ideas on what to put on these towels and I found some great inspiration. I also kept in mind who I was giving these towels to and their decor style. Once I figured out what I was drawing, I drew my images on white paper first with regular black marker. 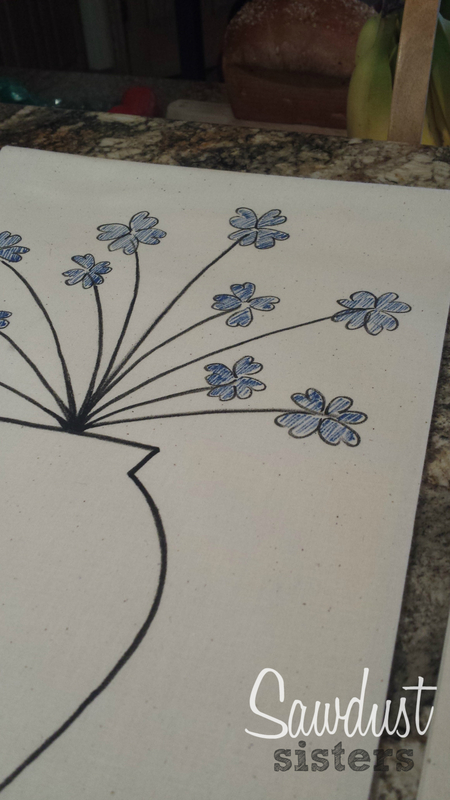 Once I was happy with the end result, I slipped it under the fabric and traced it with my fabric marker. It shows right through! It was so easy. If you don’t think you could draw anything more than a stick man, you could try finding an image that you love online. Then you could print it to the size that you need, and trace it with no problem. This is the one I made for my mom! I love colorful dinnerware, and this plate reminds me of something I would find in a fancy Mexican restaurant down in Oaxaca, Mexico. This one I gave to my aunt Aleyda. I actually have this morter (or “pilon” like we say in Puerto Rico), and I just placed it in front of me and started drawing. 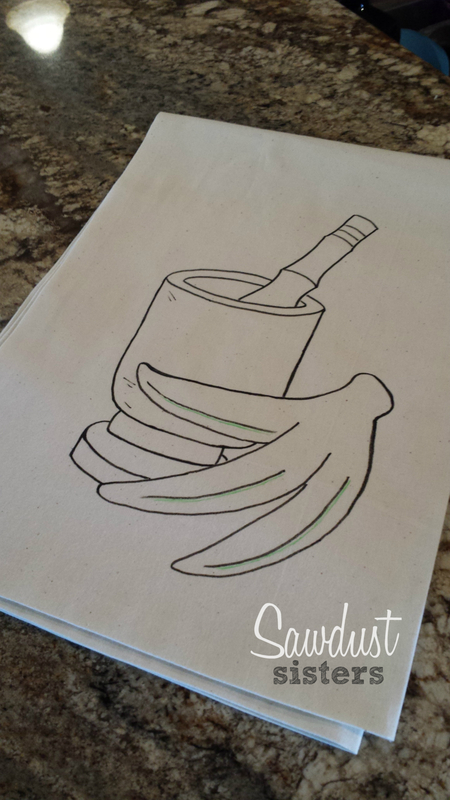 The bananas on the front represent the green plantains that we use in Puerto Rico to make “mofongo” and “tostones”. This one I made for my sawdust sister! It fits her decor style really well and it makes me happy to see it hanging in her modern kitchen. This one I sent to my sister in law, Lidia. I hope she likes it. When we stayed at her house down in FL I noticed there were a lot of birds chirping away in the area (no alligators, luckily!). So, this towel is a reflection of sunny Florida and the beautiful lake that sits only a few yards away from their back door. So that’s it! As you can tell, I actually drew the designs before Iactually sewed the edges. Unfortunately, I don’t have pictures of the finished seams. Just imagine a seam the same color as the fabric that goes around the whole edge. My sister washed hers and the design did not fade at all! 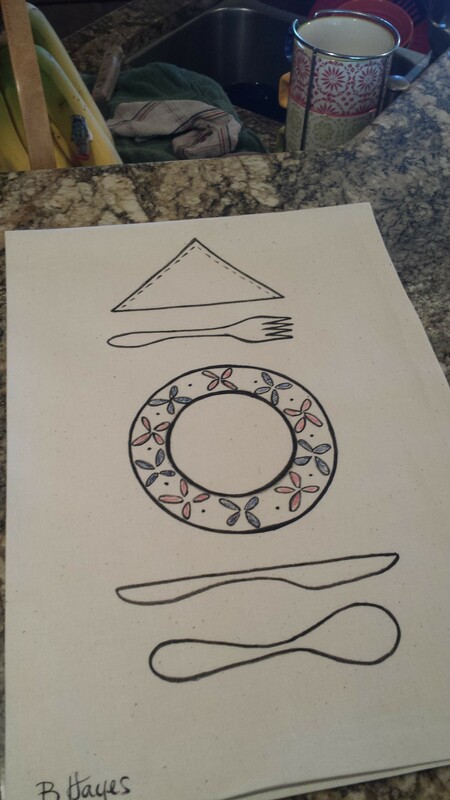 Just make sure that once you are done drawing your design to iron it really well. It will help to set the image unto the fabric. 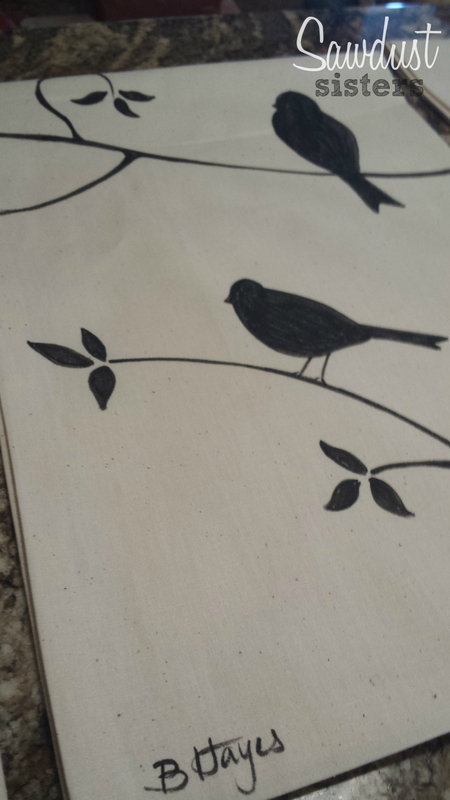 And of course, the better quality of the fabric marker, the longer lasting your design will be. I bought mine at Hobby Lobby and I love my black one. I like to do mostly black and then do some accent colors here and there. Ok, I will stop talking now! Let me know if you have any other questions about this project! 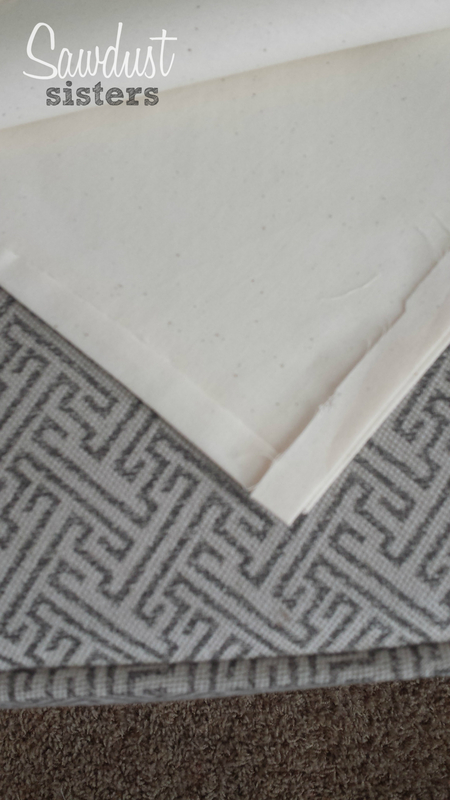 Previous Post: « How to Reupholster Dining Chairs with Piping!